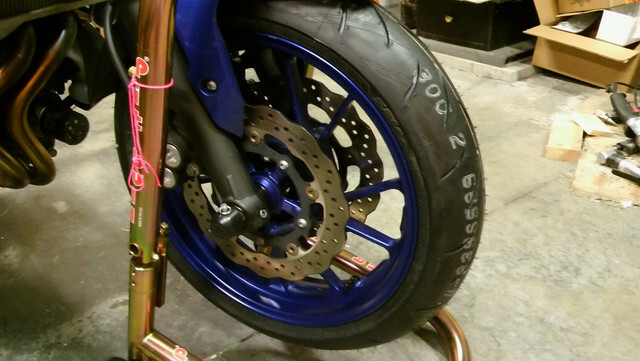 Mounted a new front tire yesterday with bike master irons and promotion rim shields. Took some effort, but not too bad. Used counteract balance beads and the ride in this morning seemed fine. Also used a 90 degree valve stem from bikemaster. Tonight I'll start on the rear. 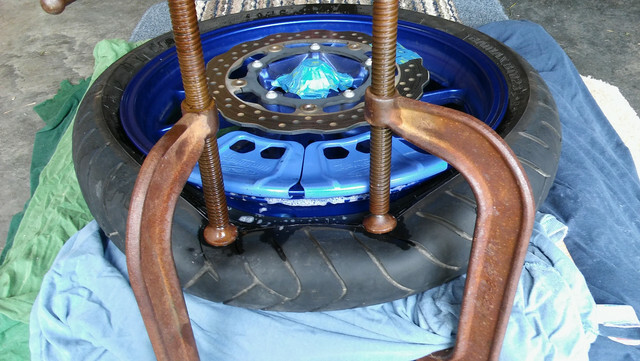 I added the balance beads through the valve stem. This took about 10 minutes, but went smoothly once the technique was perfected. There are some good video on YouTube. Interested to hear what you think of the counter balance beads. Being pleased with this product I will not use weights on my bike wheels again, as long as this product is available. 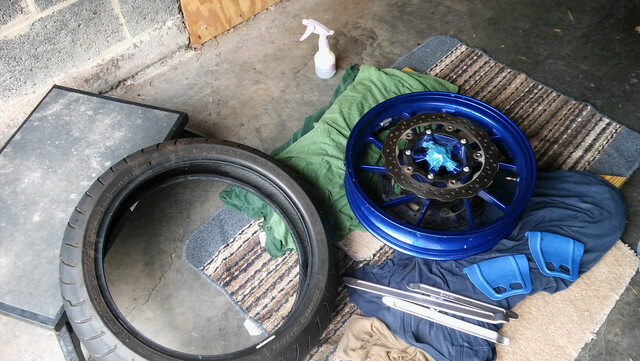 What tire is that? Interesting cuts on it.